Bringing home a puppy is an incredibly exciting life changing event. 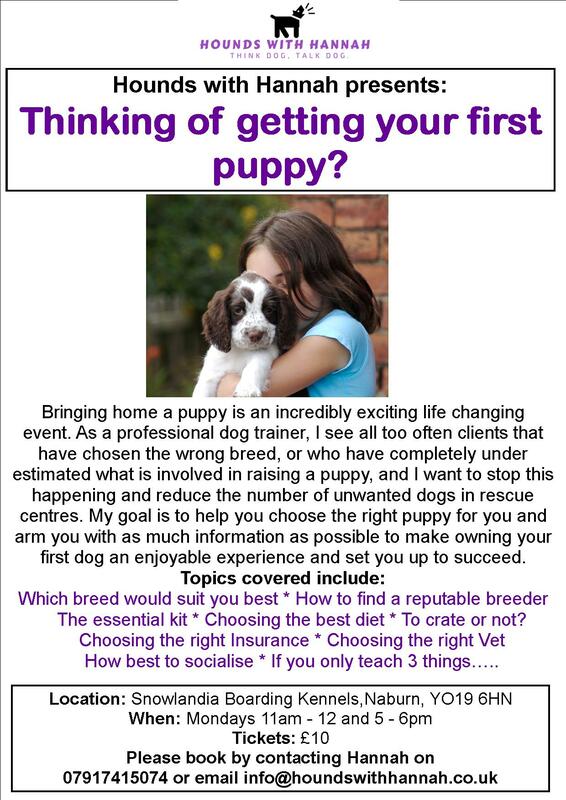 As a professional dog trainer, I see all too often clients that have chosen the wrong breed, or who have completely under estimated what is involved in raising a puppy, and I want to stop this happening and reduce the number of unwanted dogs in rescue centres. My goal is to help you choose the right puppy for you and arm you with as much information as possible to make owning your first dog an enjoyable experience and set you up to succeed. Workshops will be held on Mondays at 11am and 5pm.